This Nitnem is an excellent resource on historical and mythological words utilized in the Banis for greater understanding of the text. It provides some information on Guru Nanak Dev Ji and Guru Arjan Dev Ji’s lives. 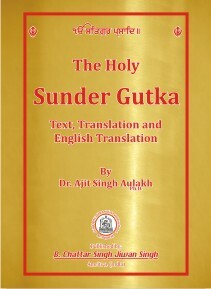 Printed with Gurmukhi text, English Translation and Transliteration.